Roxy Tarts Greatest Comedy Drag Show. 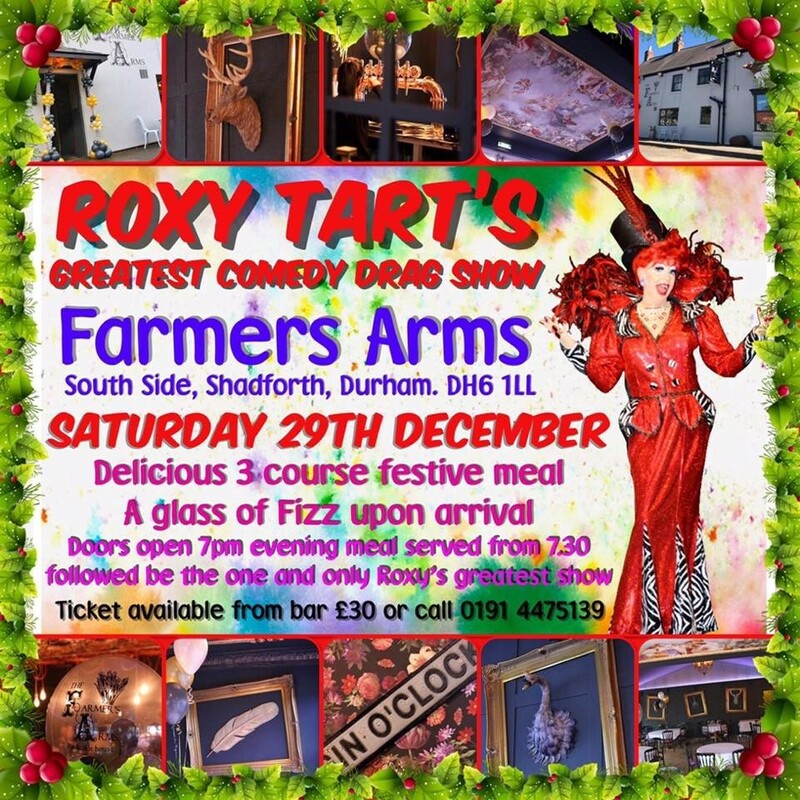 Tickets on sale now @ the farmers Arms £30 per person. Doors open at 7pm, and includes the show a three course sit down meal & a glass of fizz on arrival. Food needs to be pre ordered by the 15th of December.